International Day Against Homophobia, Biphobia and Transphobia. 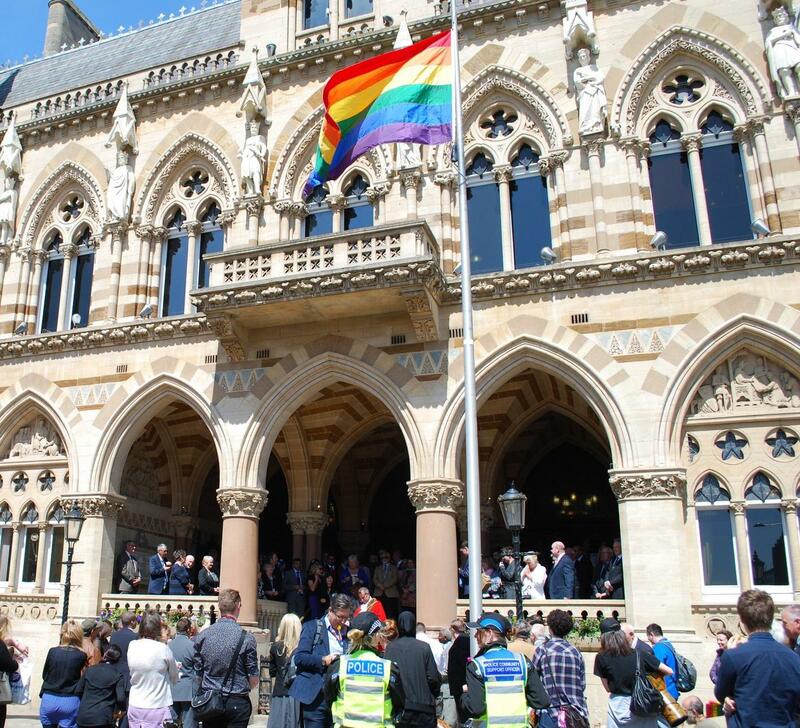 The LGBT and Q People's Forum provides an inclusive and safe space for individuals who identify as lesbian, gay, bisexual, transgender or questioning, or who have an interest in LGBTQ equality, to express their needs and views on services we provide and future plans for the town. Members can be individuals who live, work or are otherwise involved in community life in Northampton, or may attend on behalf of an organisation. The Forum meets every 2 months on a Tuesday evening at 6.30pm. This alternates between a formal meeting at the Guildhall, and a social meeting at a venue chosen by members. The forum has a councillor co-chair appointed to take a special interest in LGBTQ community needs and views on our behalf. This is currently Cllr Anna King, Cabinet member for Community Safety and Engagement. The forum also has a community co-chair, elected from its members, currently Matthew Toresen.